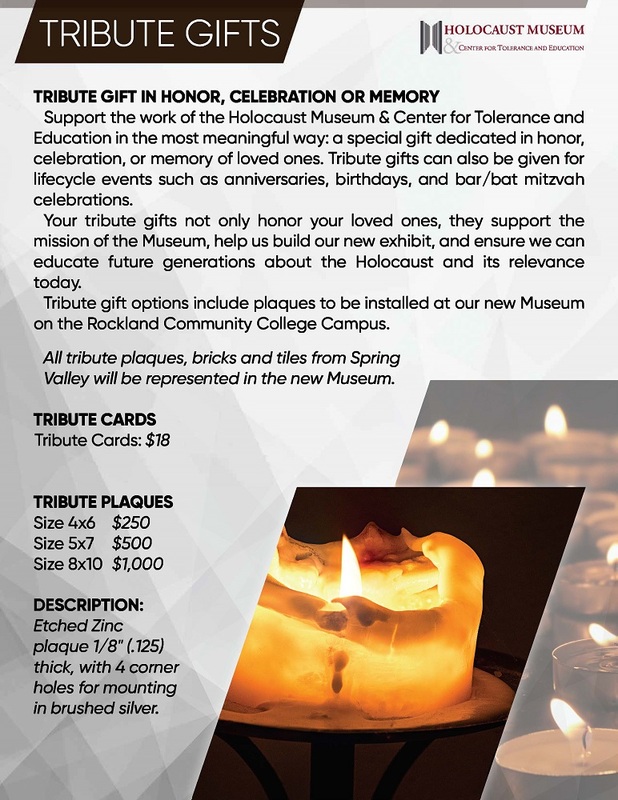 Your tribute gifts not only honor your loved ones, they support the mission of the Museum, help us build our new exhibit, and ensure we can educate future generations about the Holocaust and its relevance today. All tribute plaques, bricks and tiles from Spring Valley will be represented in the new Museum. 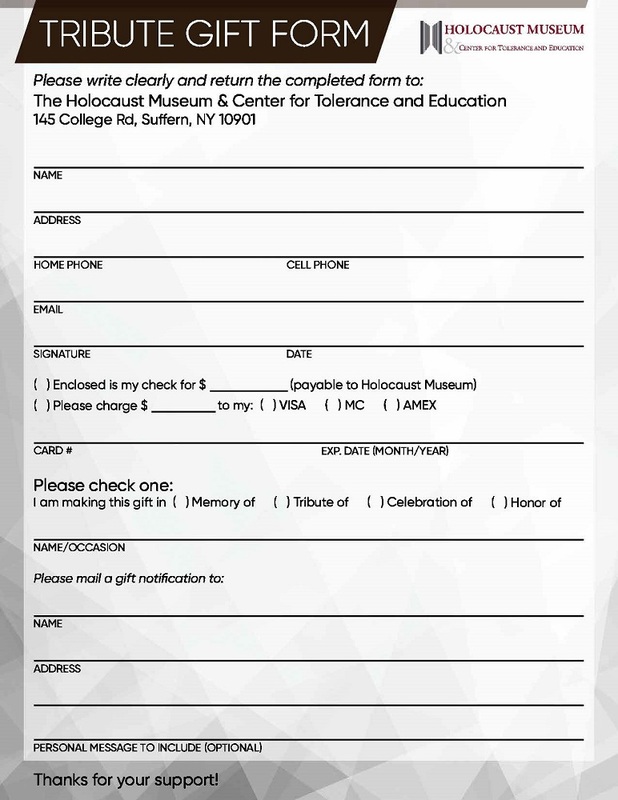 For further information contact Geri Myer, Finance Manager, at gmyer@holocauststudies.org or 845-574-4099.